Preston Green is a professor of educational leadership and law at the University of Connecticut. 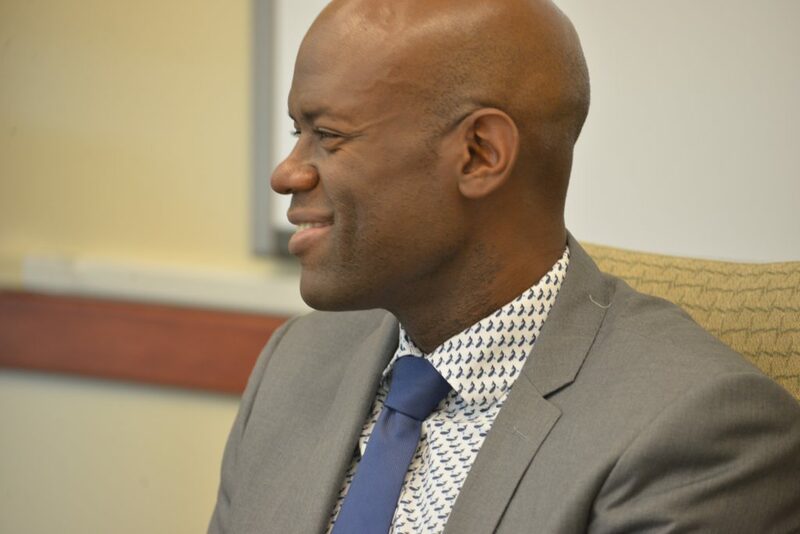 At the University of Connecticut, Dr. Green helped develop the UCAPP Law Program, which enables participants to obtain a law degree and school administrator certification at the same time. Dr. Green also developed the School Law Online Graduate Certificate, a 12-credit online program that helps educators, administrators and policy makers understand the legal dimension of K-12 education. Before coming to the University of Connecticut, he was the Harry Lawrence Batschelet II Chair Professor of Educational Administration at Penn State, where he was also a professor of education and law and the program coordinator of Penn State’s educational leadership program. In addition, Dr. Green was the creator of Penn State’s joint degree program in law and education. Further, he ran the Law and Education Institute at Penn State, a professional development program that teaches, administrators, and attorneys about educational law. Dr. Green has written five books and numerous articles and book chapters pertaining to educational law. He primarily focuses on the legal and policy issues pertaining to educational access and school choice. Green, P., Baker, B., Oluwole, J. (in press). Are charter schools the second coming of Enron? : An examination of the gatekeepers that protect against dangerous related-party transactions in the charter school sector. Paper to be published in Indiana Law Journal. Green, P. (2016). Non-religion-based state constitutional challenges to educational voucher and tax credit programs. Peabody Journal of Education, 91, 490-502. Oluwole, J., & Green, P. (2016). School vouchers and tax benefits in federal and state judicial constitutional analysis. American University Law Review, 65, 1335-1447. Green, P., Baker, B., Oluwole, J., & Mead, J. (2016). Are we heading for a charter school “bubble”? : Lessons from the subprime mortgage crisis. University of Richmond Law Review, 50, 783-808. Oluwole, J., & Green, P. (2015). Virtual schools, student rights, and the First Amendment: Adjusting the schoolhouse gate to the 21st century. North Carolina Journal of Law and Education, 17, 221-306 (2015). Green, P., & Oluwole, J. (2015). An analysis of the New York charter school auditing cases. West’s Education Law Reporter, 319, 1-15. Green, P., & Oluwole, J. (2015). Response to “Applying value-added methods to teachers in untested grades and subjects.” Journal of Law and Education, 44, 401-12. Green, P., Baker, B., & Oluwole, J. (2015). The legal status of charter schools in state statutory law. University of Massachusetts Law Review, 10, 240-76. Collins, K., Green, P., Nelson, S., & Madahar, S. (2015). Cyber charter schools and students with dis/abilities: Rebooting the IDEA to address equity, access, and compliance. Equity & Excellence in Education, 48, 71-86. Green, P., Donaldson, M., & Oluwole, J. (2014). An analysis of the policy, research, and legal issues surrounding the exclusion of charter schools from the teacher evaluation revolution. Journal of Law and Education, 43, 463-83. Interviewed for The Edvocate, “106 Experts Share Their Thoughts on the Future of Education,” December 29, 2017. Research cited for Knox News, “‘Backpack Full of Cash’ Warns of Charter School Dangers,” December 5 2017. Research cited for Esquire, “Our School Systems Deserve Better Than This,” December 4, 2017. Quoted in Concord Monitor, “Would a Proposed School Choice Proposal Be Constitutional in NH?,” October 1, 2017. Quoted in Morning Call, “Charter School Finances Raise Concerns About Future,” August 12, 2017. Quoted in New Republic, “Betsy DeVos Is Making School Choice Toxic for Democrats,” July 26, 2017. Quoted in The Atlantic, “Will Churches Ever Be Allowed to Run Charter Schools?”, July 19, 2017. Quoted in American Prospect, “Teacher Tests Test Teachers,” July 18, 2017. Quoted in NEA Today, “‘A Failed and Damaging Experiment:’ NEA Takes on Unaccountable Charter Schools,” July 5, 2017. Interviewed for Common Dreams, “Charter Schools Do Bad Stuff Because They Can,” June 23, 2017. Research cited for Washington Post, “Problems With Charter Schools That You Won’t Hear Betsy DeVos Talk About,” June 22, 2017. Interviewed for 91.5 KJZZ, “Trump Proposal For Ambitious School-Choice Expansion Unclear,” May 23, 2017. Interviewed for San Jose Inside, “Charter Schools Accuse San Jose Unified School District of Trying to Poach Prospective Teachers,” May, 17, 2017. Wrote op-ed for The Conversation, “Is Charter School Fraud the Next Enron?”, April 27, 2017. Research cited for Alternet, “5 Times Charter School Founders Used Shady Real Estate Deals to Shamelessly Enrich Themselves,” April 27, 2017. Interviewed for Have You Heard, “Crony Capitalism,” April 6, 2017. Interviewed for NEA Today, “What the Charter School Industry Can Learn from Enron – Before It’s Too Late,” March 31, 2017. Interviewed for Radio Dispatch, “Preston Green on How the Charter Sector Resembles the Enron Crisis,” March 16, 2017. Research cited in Business Insider, “An Alarming Study Links Fraud in the Enron Scandal to Similar Practices at Charter Schools,” March 9, 2017. Interviewed for UConn Today, “A Lesson from Enron: Charter Schools Need More Oversight,” March 6, 2017. Interviewed for Boston Globe, “Alarmed by Trump, Schools Protect Vulnerable Students,” February 28, 2017. Interviewed for UConn Magazine, “Class Action: What with Tweeting, Twerking, Guns and Gender Wars, It’s as if You Need a Law Degree To Be a Principal These Days,” (Spring 2017). Interviewed for Providence Journal, “Will Defeat of Charter School Expansion in Mass. Reverberate to R.I.?,” November 10, 2016. Interviewed for Kathleen Dunn Show, “Schools So Unequal They’re Actually Unconstitutional,” November 2, 2016. Research cited for The Hill, “Loosely Regulated, Charter Schools Pose Fiscal Risk,” November 1, 2016. Interviewed for The Day, “Associates Say Judge from Groton Was Well Suited to Take on School Funding Case,” September 17, 2016. Interviewed for On Point, “What Connecticut’s Schools Reveal About National Education Inequality,” September 13, 2016. Interviewed for Wall Street Journal, “School Ruling Alarms Connecticut Suburbs: Suburban and Rural Districts Worry about a Shift of State Support to Larger Districts that Are Struggling Financially,” September 8, 2016. Interviewed for Bloomberg, School Funding Ruled Unconstitutional, September 8, 2016. Interviewed for Wall Street Journal, “Connecticut’s School Funding Violates Constitution, Judge Rules,” September 7, 2016. Interviewed for the 74, “When Public Charter Schools Are Private: Labor Rulings Highlight Often Blurred Line,” August 30, 2016. Interviewed for Truthout, “A Turning Point for the Charter School Movement,” August 30, 2016. Interviewed for CT Mirror, “CT to Be a Test Case for Education Rights under U.S. Constitution,” August 24, 2016. Interviewed for WILS 1320, “Charter Schools, May 18, 2016. Interviewed for CUNY Television, “POTUS 2016: Clinton, Trump Win NY; Education Policy,” April 20, 2016. Research cited in First Focus, “’Spotlight’ Shows Us the Kids Aren’t Alright,” March 29, 2016. Interviewed for NEA Today, “What Do Many Charter Schools and Subprime Loans Have in Common? Too Much,” March 17, 2016. Interviewed for Edushyster, “Signing Their Rights Away: A Series of Court Rulings Suggests That Students Who Attend Charter Schools Do Not Have the Same Rights as Public School Students…,” March 15, 2016. Interviewed for Hartford Courant, “Student Alleges Racism at South Windsor Schools,” March 11, 2016. Interviewed for UpFront (94.1 KPFA), March 11, 2016. Interviewed for WNPR, “UConn Professor Says Charter School Growth Is Like Subprime Mortgage Bubble,” February 29, 2016. Interviewed for New York Times, “Closely Watched Fight over California Teacher Tenure Moves to Appeals Court,” February 25, 2016. Interviewed for UConn Today, “A Charter School Warning,” February 22, 2016. Research cited in NEA Today, “School Choice” Mantra Masks the Harm of Siphoning Funds from Public Education, January 22, 2016. Interviewed for NJTV News, “Study: Don’t Make Mortgage Industry Mistakes with Charter Schools,” January 18, 2016. Interviewed for Mother Jones, “3 Troubling Ways the Charter School Boom Is Like the Subprime Mortgage Crisis,” January 16, 2016. Research cited in Business Insider, “An Alarming New Study Says Charter Schools Are America’s New Subprime Mortgages,” January 6, 2016. Interviewed for Washington Post, “Are Charter Schools the New Subprime Loans? Think “The Big Short,’” January 4, 2016. Interviewed for TC Today, “The Third Degree: For Preston Green, the Classroom and the Courtroom Are Inextricably Linked,” June 10, 2015. Interviewed for Neag School of Education Spotlight, “UConn’s Law School and Neag School of Education to Launch New Graduate Program Combining Educational Leadership and Law,” May 20, 2015. Presentation cited for Herald News, “UMass School of Law Hosts Talk on Workings, Ethics of Charter Schools,” March 27, 2015. Interviewed for WBSM, “Charter School Debate Comes to Southcoast,” March 27, 2015. Interviewed for CT Mirror, “The Charter Debate: More Schools, Transparency and Oversight?”, March 24, 2015. Interviewed for WNPR, “In Wake of the Fuse Scandal, Connecticut Charter Schools Face Greater Scrutiny,” September 2, 2014. Interviewed for UConn Today, “Public Dollars, Private Rules: The Charter School Calculus,” August 14, 2014. Participated as a panelist for WNPR’s show, Where We Live, “How Effective Are Charter Schools?”, July 24, 2014. Interviewed for Detroit Free Press, “Michigan Charter School Laws Enable Scams, Insider Trading,” June 23, 2014. Interviewed for Detroit Free Press, “5 Stories of Dubious Decisions, Wasteful Spending, a Deal for Swampland, June 22, 2014. Research cited in Washington Post, “A Case in Misconceived Urban Reform,” January 15, 2014. Interviewed for Governing Magazine, “Education Reformers Clash over Charter School-Teacher Evaluations.” June 7, 2013. Interviewed for Governing Magazine, “Florida Teacher Lawsuit Could Spread to Other States,” May 14, 2013. Interviewed for Education Week, “Union Sues over Basis of Appraisal,” April 23, 2013. Interviewed for UConn Today, “Education Law Expert Preston Green III Joins UConn Faculty,” March 28, 2013. Research cited in Washington Post, “Judges Look at Whether Charter Schools Are Public.” January 2, 2013. Research cited in Huffington Post, “Charter School Segregation Target of New Report,” February, 24, 2012.